The Colony Plaza of Waconia – Just One Stop Bait & Tackle, Liquors, Automotive & More! Colony Plaza is conveniently located off of HWY 5 West in Waconia, MN. 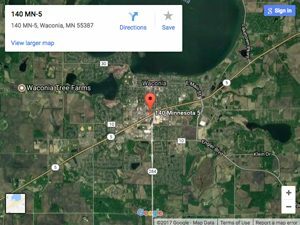 We are located right in the heart of the Waconia lakes area with easy in and out parking lot to get you back on the road, or on the lake. We have a full service bait & tackle shop, pro fishing advice, full service liquor store, full automotive services, tires, towing, gas, oil changes and a full convenience store. Stop in today to check us out, or give us a call for more information 952-442-2817. Colony Plaza Auto has been serving the Waconia area with reliable, fair and professional auto services for decades. Whether you are headed out on the ice or fishing soft water season, we have all of the local proven fish catching tackle. Our friendly staff can help you select the perfect wine, beer or sprits for your next gathering. Stop in today! Stop in today, and get big savings!